Men and women Australia wide are investing time and money in their health and wellness and it's time for you to jump on the bandwagon too! Promotional drinkware has long been a major player in the promotional industry and the new shaker bottles are only adding to the demand. Tying in with popular trends of powered supplements for pre-workout, post-workout and meal replacement. 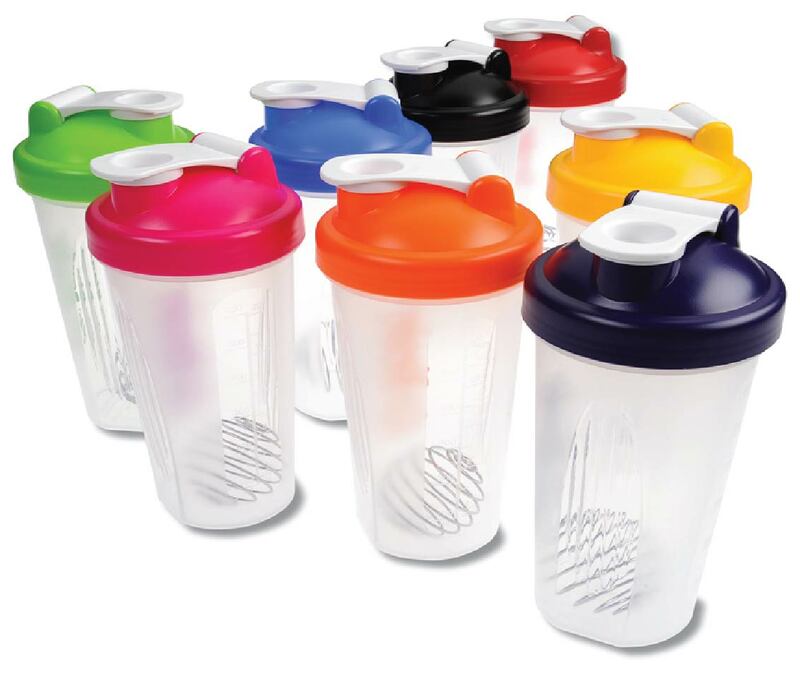 This trend is here to stay so investing in shaker bottles is a great way to use your marketing budget. Shaker bottles are a great incentive for employees when you are promoting a healthy lifestyle within your corporate image. They are also the perfect giveaway item for gym's and fitness companies to give out with memberships or just because! The promotional shaker bottle includes a high grade stainless steel wire ball which works to break up the powder that has been added making it more effective than a regular bottle.